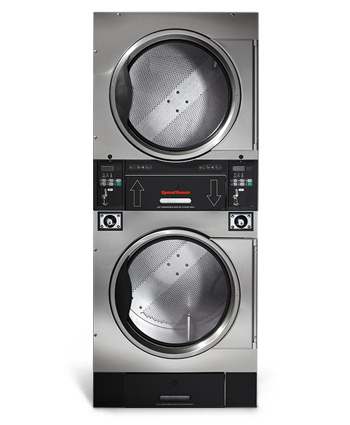 See large arrows on machine and use according MDC (Micro-Display Controller) to add money and time to stacked Speed Queen dryer. When adding a load of laundry in the top dryer, insert money in the coin slot located on the left in the middle of the machine. If you added a load of laundry in the bottom unit, please see the right MDC and add coinage there. 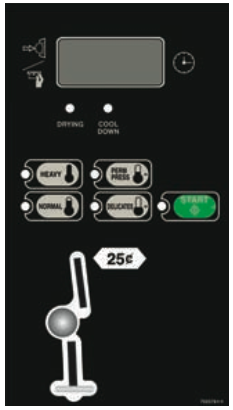 You can chose the drying temperature on the 4 buttons showing the temperature level. The remaining time will be displayed on the display on the panel.